World Peace Day was celebrated on 21st of September. A painting competition was held with ‘ World Peace’ as the theme. 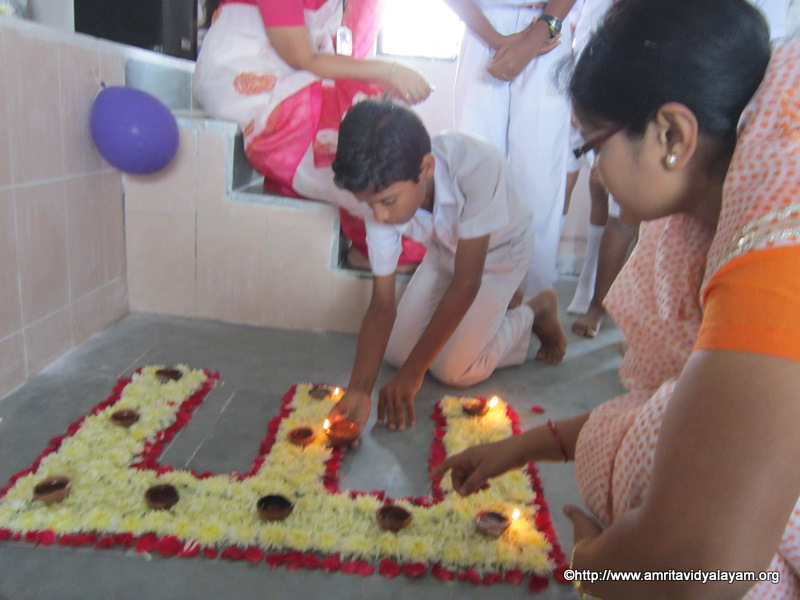 Children lighted earthen lamps on the word “PEACE” in a beautifully arranged flower pattern, symbolising the dispelling of darkness. Amma’s ‘Ashtotara’ was chanted followed by the chanting of the manatra ‘Lokaha Samastha’ 18times. A two minute silent prayer was observed for world peace.